Contact the Mango Maids team today to schedule your home cleaning! Professional cleaning services for your Okotoks home or business has numerous benefits to for the property and for your lifestyle. Large and small properties can become very dirty with extensive use. Cleaning your property can take hours out of your busy schedule. Various aspects of your Okotoks business can require consistent cleaning and or janitorial services to remain in safe and comfortable condition. Bathrooms, kitchens, carpets, windows, air ducts and so much more can be required to clean your Okotoks pretty. 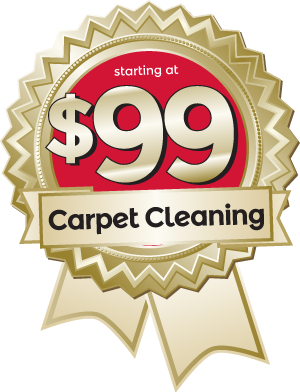 Receive efficient, effective and stress-free cleaning service by hiring a professional. At Mango Maids our team of cleaning experts can work to clean your Okotoks home or business. For eco-friendly and professional approach can leave your property spotless. For all your Okotoks professional cleaning needs, contact Mango Maids! The team at Mango Maids can provide Okotoks home cleaning services for each of your specific home cleaning needs and or preferences. Our custom, eco-friendly approach to Okotoks home cleaning can be ideal for your home cleaning needs. Mango Maids can provide you with a stress-free, professionally cleaned home or business for you to arrive at or to work to every day. Contact Mango Maids today for more information! Contact us today, for your Okotoks kitchen cleaning needs! A bathroom should represent a place of cleanliness and relaxation in your Okotoks property. Commercial and residential bathrooms alike can quickly lose their appeal when they become dirty or seemingly unsanitary. Don’t let your unclean bathroom affect the overall atmosphere of your Okotoks property. Contact Mango Maids today to schedule an Okotoks bathroom cleaning consultation. Our team can fully inspect and clean your commercial or residential Okotoks bathroom! Maid services from Mango Maids can be designed to fit your custom Okotoks cleaning needs. Our maid services are scheduled around your busy lifestyle. Our Okotoks maid services are positioned and designed around your specific cleaning needs and desires. Whether you need maid services on a repeat basis to keep your property clean, or to clean up after a major event, contact the maid service experts at Mango Maid for all your maid service needs! The ram at Mango Maids can provide excellent Janitorial services to meet all your Alberta commercial cleaning needs. Our term employs a hardworking and eco-friendly approach to all your commercial cleaning needs. Our experts have the experience and skills to completely clean your Okotoks property. Call or email Mango Maids today with each f your specific and or potential Okotoks janitorial needs! Contact Mango Maids today for professional cleaning services in Okotoks, Alberta – fill out your information below and our customer service team will be in touch with you shortly!